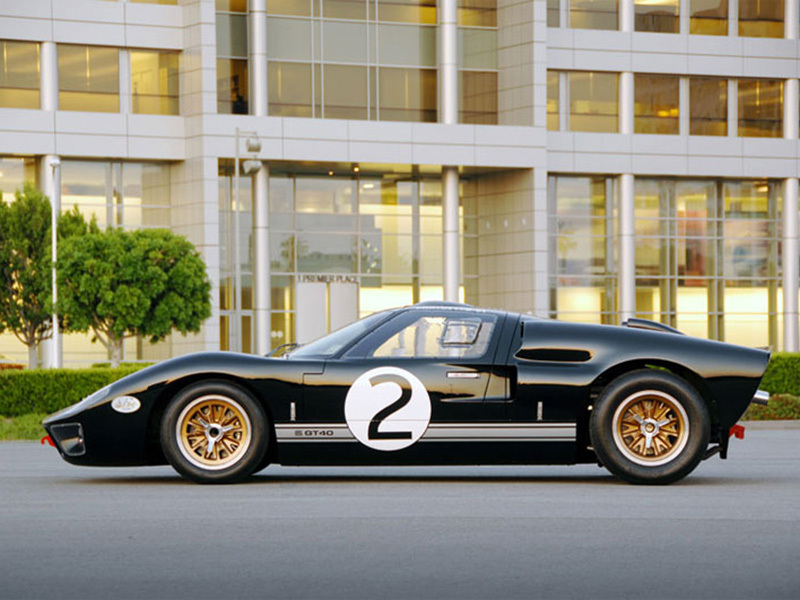 A museum celebrating the life and work of automotive legend Carroll Shelby. Just south of The Strip, not too far from Mandalay Bay. The tour groups can get large so go at an off-peak time to have a more personalized experience. If you are a car fan, this one should be near the top of your list of things to do in Vegas. Texas born Carroll Shelby started out his love affair as a race car driver, racking up wins and speed records around the world and named as Sports Illustrated’s driver of the year in 1956 and 1957. 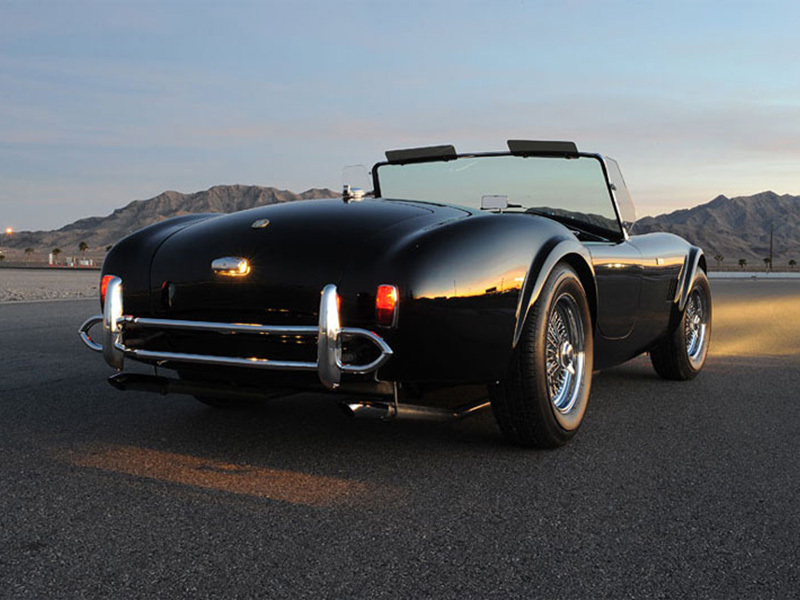 In the 1960s he turned to manufacturing, creating his iconic Cobra roadster and then a series of customized Mustangs and other vehicles for Ford. His GT350 and GT500 Mustangs became some of the most sought after muscle cars on the road and continue to draw huge prices when the few remaining examples show up for sale. 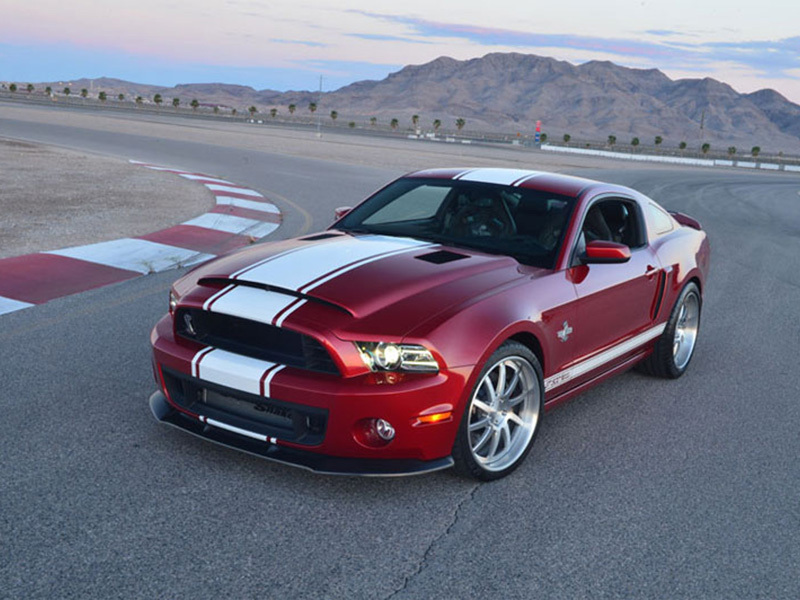 This facility, relocated from the Las Vegas Motor Speedway to just south of The Strip, features a full garage facility where they make their current roster of high-performance vehicles plus a big gift shop and small museum dedicated to the life and work of Shelby. 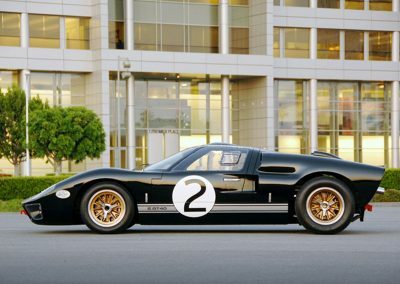 There are about two dozen cars on display, from the first Cobra that Shelby ever built to a replica of his award-winning Le Mans racer and several pristine 1960s era Mustangs. There are even a few examples of his forgettable work with Chrysler in the 1980s, including the imminently silly GLH, a tiny econobox that got a giant engine and the letters meaning “Goes Like Hell,” and a pickup truck. 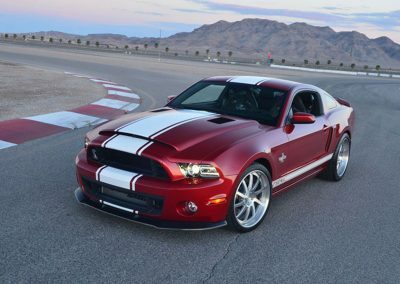 The rest are new models, including the 850hp Shelby Super Snake, which will run you at least another $30,000 on top of the price of the Mustang on which it is based. There are some engines on display plus the walls are lined with photos and there’s a gift shop that takes up almost as much space as the cars do. You can tour the facility on your own but there is very little contextual information or even signage describing the vehicles. If you are interested in finding out more, you should take one of the tours, which are led by various Shelby associates. 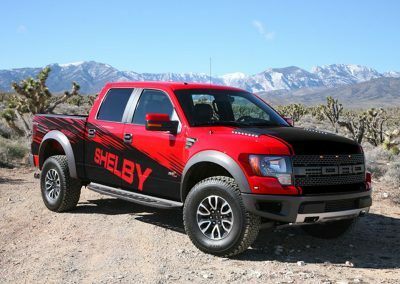 The man who led the group I was on had been affiliated with the company for decades and knew Shelby personally so he was able to tell plenty of behind-the-scenes stories that helped fill out the history. For instance, when they were trying to come up with a name for the first Mustang partnership he was doing with Ford, Shelby told one of his staff to go outside and count off the number of steps between the conference room in which they were sitting and the garage. When the guy came back with a number of 348, Shelby said, “Let’s round it up” and the now classic GT350 was born. The tour lasts about an hour. Your mileage may vary (so to speak) depending on who is leading yours and you kind of have to be an appreciator of racing and/or cars in general to fully enjoy this experience. Getting in to the museum and taking a tour are completely free but they do accept donations, all of which goes to the Carroll Shelby Foundation supporting organ donation. Shelby, who died in 2012, had a heart and kidney transplant and dedicated much of his riches to the foundation, which provides financial assistance, research grants, and education campaigns. You’ll need a cab to get here or, if driving, a strong sense of direction. Take The Strip south to Sunset Road, just before you get to the Town Square shopping complex. Turn right but don’t take the bridge that goes up and over I-15. Instead, veer off to the right and follow the signs for Ensworth Street, which runs parallel to the freeway. Turn right and you’ll see the facility on your right.